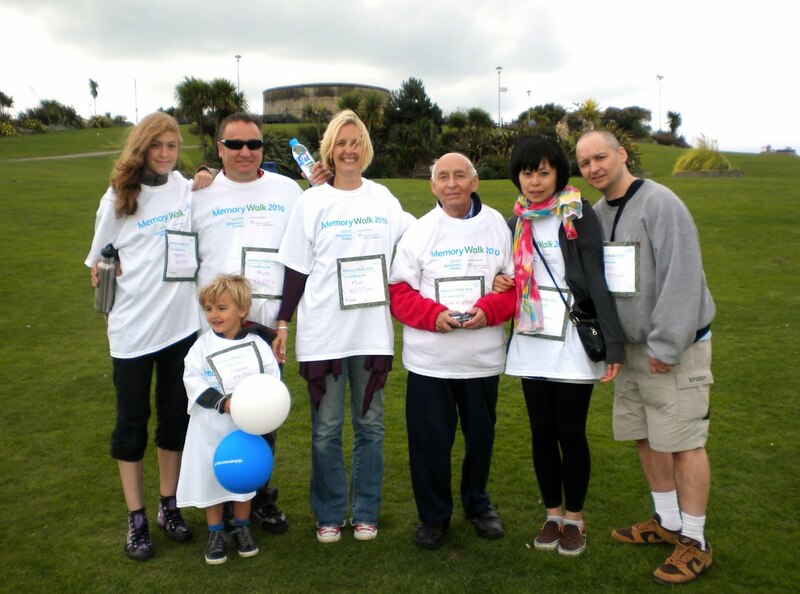 Harley Street Nutritionist Yvonne Bishop-Weston got back from speaking in Bulgaria just in time to support the Memory Walk in Eastbourne East Sussex organised by Alzheimer's Society. Yvonne walked with three generations of the Weston family in memory of her mother in law June Weston who sadly passed away 29th April 2009 after battling with Alzheimer's for around 7 years. 4 year old Johannes, representing the most recent generation of the Weston clan, displayed great prowess at encouraging the visitors to Eastbourne's promenade to part with their loose change. Healthy – Your Natural Health Expert: Well Yes, Healthy Magazine from Holland and Barrett is awash with advice from Nutritionists from Vicki Edgson talking about her hormones and the latest from Ian Marber ( who Yvonne worked with at The Food Doctor) and his crew of diary dieters. But our Harley Street Nutritionist expert Yvonne Bishop-Weston did manage to squeeze into the nutritional throng this month along with psychologist Rose Aghdami in a little weight loss quiz on styles of diet and eating styles by Hannah Fox. More nutrient dense food, less calorie rich nutrient stripped food! Bishop-Weston says one common symptom of stress-related metabolic slowdown is putting on weight despite eating and exercising the same amount as you always have done – or you may find your weight plateaus and you simply can’t shift any pounds. Other telltale signs include bloating, dry skin, loss of stamina, emotional lows, fatigue and lacklustre hair. ‘But there are small changes you can make to your diet and exercise routine that can give a gentle boost to your thyroid and your metabolic rate,’ she says.